Unpack archive then move files (".dlo", ".ini" and "data" folder) into "plugins" folder located inside your "Kart Racing Pro" installation. When on track press F2 key to activate plugin menu. It will allow you to enable or disable particular window or move it to different position with created mouse cursor. After configuring HUD according to your preferences press F2 again. Window placement is saved separately for each kart. 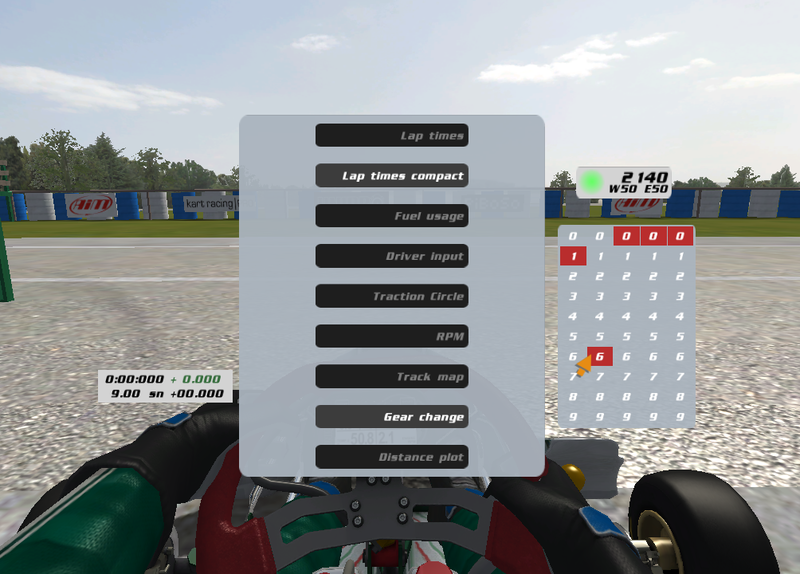 Plugin creates display over your game screen that allows to show more information about your lap times. Main elements of display include sector and lap times, difference to best sector time, track map, fuel level and live split. Live split is similar to racing with "ghost". It shows time difference to your best lap time at any point on track. Some of plugin elements require additional configuration. It is indicated by additional submenu placed on the right side of main menu. For gear change indicator submenu configures RPM threshold. 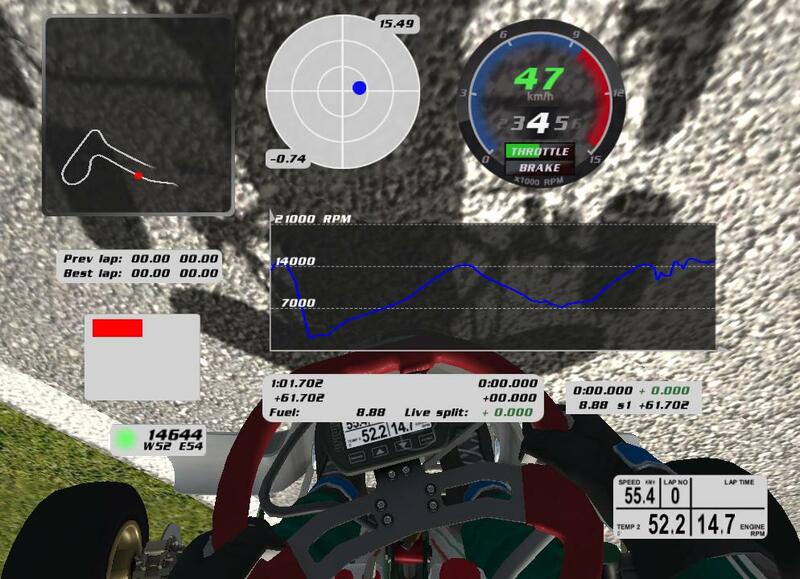 This program is ported version of World Racing Series Advanced HUD plugin. This was quite a fast porting to KRP. This morning beta test for WRS and now already the KRP version. I found a small bug. I'll send you PM. Cool. Useful thing! Thank you! A smooth race never made a skillful racer. I would prefer piboso forum PM of that's ok.
- Bug fix. After rejoining server live split didn't work till best lap time was posted. Credit for spotting bug goes to dibu. how do you drive with all that information in front of your eyes! If I die tomorrow, I'd be alright because I believe that after we're gone, the spirit carries on! :: If you no longer go for a gap that exists, you're no longer a racing driver. It does not work that hud since beta 11 !? Hum strange sames for me don't work. I wanted to take this hud to know which gear I was in KZ1, his was useful to me !